There is no risk when signing up to JustSeniorSingles, as building a profile and searching for other people is completely free. Spend as much time as you please building a perfect first impression and looking for your ideal match using in-depth search functionality such as the “Looking For” feature and viewing video profiles. When you are ready to make contact, sign up for as little as three days and chat via inbox or instant message, confident in the UK based protection and support the website offers. Signing up to JustSeniorSingles is a matter of answering a few simple questions. 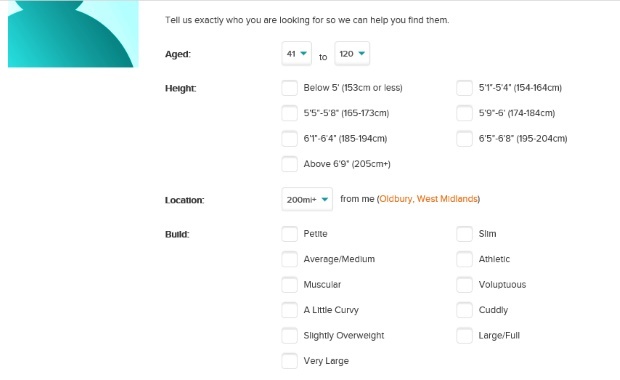 Once you have entered your email address, given a date of birth and a gender so that the site can suggest suitable matches, you will be taken to your profile set up. Please note that JustSeniorSingles does not support Gay or Lesbian dating. On the profile page you will find advice and tips for every step of the profile set up, including how to make the most out of your user profile, and success stories and tips from other users. Include as much information as you want with open ended questions and tick-box options alike. Remember that JustSeniorSingles will use this information to set you up with likeminded singles, so be cautious about leaving too much blank. After all, you would not go to a bar or singles event and sit in silence would you?! The most important thing in a dating website is its search functionality, and JustSeniorSingles certainly does not disappoint. You can choose to search through user profiles yourself, or have matches recommended to you. If you are searching yourself, take advantage of the in-depth search tool, which allows you to narrow down your results by age range and location, as well as hiding profiles without photos or video profiles. Search further by using filters like physical attributes or interests to really get the results you are looking for. If you would rather sit back and let someone else do the hard work, try the Encounters tab. Here you can see suggestions based on not only your own profile page, but the added “looking for” section, where you can fill in exactly what you want in a match. See someone you like? Add them to favourites so you can find them again with ease, or if they are currently online, start chatting right away with instant chat. JustSeniorSingles offers excellent added features such as a dating diary where you can put down on virtual paper your thoughts and feelings about anything you please. Use this section of the site to get to know other members even before you make initial contact! Take advantage of full functionality with bolt on extras including read receipts for your messages, or the ability for other users to reply or contact you for free. JustSeniorSingles makes safety top of their list of priorities. Every page has a link to a safety tips document, which outlines how you can keep safe both on and offline. The section for online safety involves being aware of phishing schemes or hackers who may wish to use your personal data, while the second section discusses ways to keep yourself safe when meeting someone offline. The website uses Online Dating Protector to moderate profiles and you can use their live chat functionality to report anything suspicious. UK based support is available free of charge with a direct phone number. 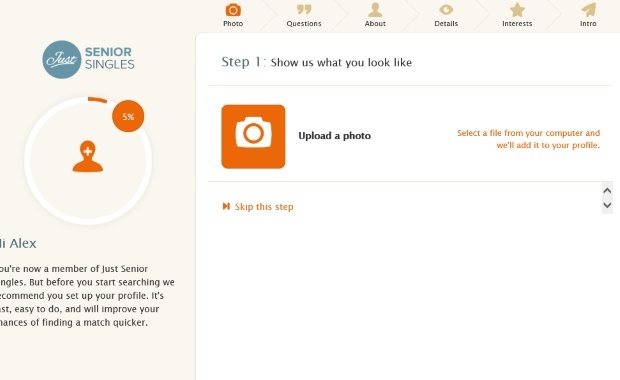 JustSeniorSingles is confident enough about the calibre of their users that they offer a £4.99 trial of their website for 3 days of full functionality. Once you are ready to sign up for a longer term subscription, take some time to decide how long to sign up for. Whichever option you choose, the money will be taken in a one-time fee. This transparent cost gets cheaper the longer term your commitment, so you might want to consider a longer subscription to make the most of your money. Sign up for one year for £12.50 per month, 6 months for £15.00, or 3 months for £19.99. You can also choose a one month package for £29.95, if you are still unsure after the 3 day trial. A great choice for seniors looking for a fun and simple place to meet their ideal match. Transparent pricing, UK based customer support and feature rich dating tools make this a real contender in online dating for UK singles.